Surrounded by the Zillertal and Tux Alps, there are some well-known holiday resorts such as Gerlos, Mayrhofen and Tux. The Hintertux glacier is Austria’s only whole year-round skiing area. It offers perfectly groomed ski runs with snow all year round, charming gastronomy and fascinating experiences in nature up to 3,250 m a.s.l.. The holiday area Zillertal, located about 40 km in the east from Innsbruck, extends from Strass im Zillertal to Mayrhofen, where the valley branches out into the Tuxertal valley and the Zamser Grund, Stillupgrund and Zillergrund areas. This valley has not only become popular thanks to the wonderful world of mountains with the Tux Alps and the Zillertal Alps with its nature park, but also due to a local folk music group called “Zillertaler Schürzenjäger”, which is known far beyond borders. The range of offers for your summer holidays in this area is manifold, ranging from the highest located thermal bath throughout Europe at Hintertux to a ride on the Gerlos alpine road offering a splendid view, and lama trekking. 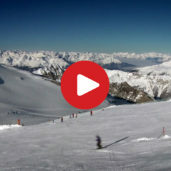 In winter months, however, the ski resort Ski Zillertal 3000 - Hintertux Glacier offers 198 km of well-groomed ski slopes, and the Zillertal Arena ski region offers other 139 km of ski slopes. Furthermore there are opportunities to do cross-country skiing, snowshoeing and ice skating. Have fun! Aschau is located at 567 m asl at the junction of anterior and posterior Zillertal valley. The holiday resort Gerlos is located in a tributary valley of the Zillertal valley. The holiday resort Stumm is located at 556 m asl opposite the village Kaltenbach. The village Tux represents the head of the Zillertal valley. © 2009 - 2019 Peer S.r.l. Cookies are used on this website to improve its usage.